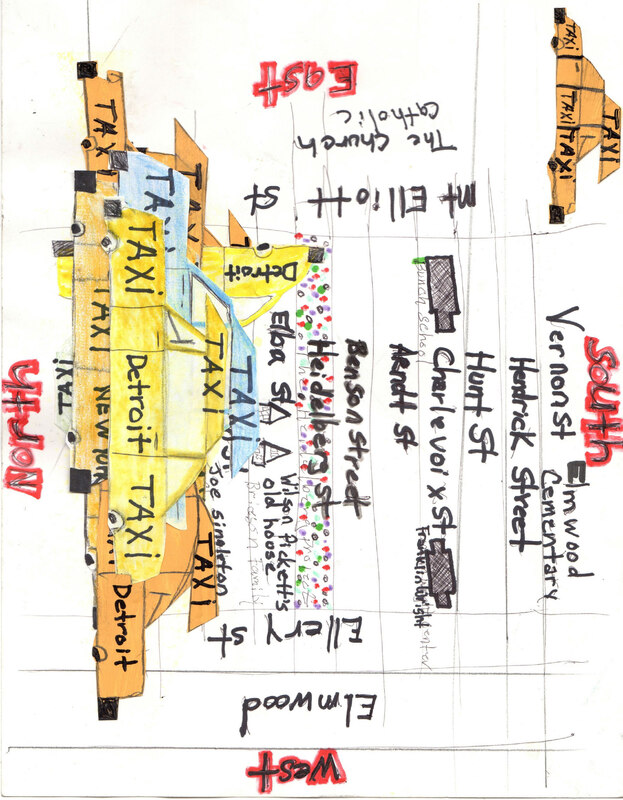 This hand drawn map by the Heidelberg Project’s founder Tyree Guyton is a part of MOCAD’s new Detroit Research project. Guyton’s hand drawn map kicks off a series called “Drawing Detroit” which aims to collect personal and hand drawn maps of Detroit. Check out the different hand drawn and hand maps that we’ve collected over the last few years.